Hanoi (VNA) – The Vietnam Administration of Tourism (VNAT) has asked tourism management agencies in central localities to monitor the use of sea fish with at restaurants to ensure food hygiene for tourists. The move was taken amid the recent incident of mass fish deaths in the central localities that are worrying travelers, VNAT said on May 10. The incident is being investigated from relevant agencies. The VNAT estimated that in a recent four-day holiday marking National Reunification Day (April 30) and May Day, Vietnam welcomed around 11.37 million visitors, including 370,000 foreigners. In the north, Hanoi greeted 227,640 visitors, including 42,640 foreigners, up 14 percent from the same time in 2015. 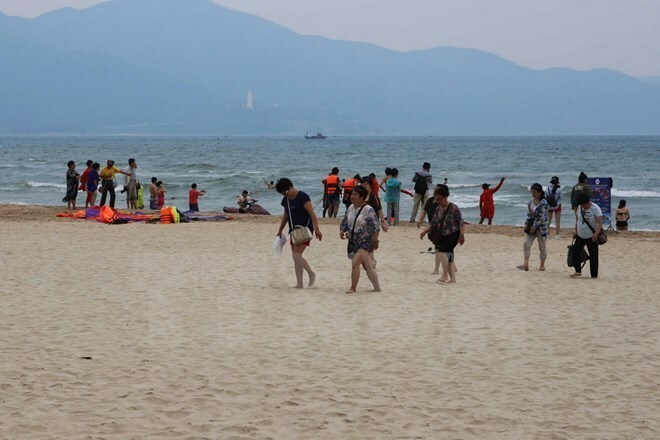 In the central region, 82,000 and 22,000 visitors came to Quang Binh and Nghe An, representing annual decreases of 44 percent and 20 percent compared to the same period last year. Earlier last month, mass fish deaths were reported along beaches in four coastal central provinces - Ha Tinh, Quang Binh, Quang Tri and Thua Thien-Hue.